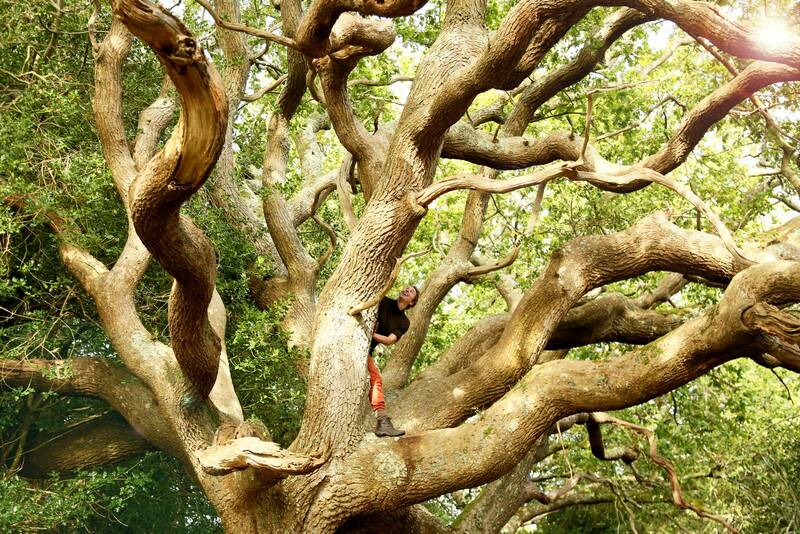 For the majority of us, tree climbing brings back memories of our childhood. When you would stand at the bottom of a tree, mapping out your route before attempting to climb to the highest point. Many of us will remember that feeling of joy when reaching the top, shortly followed by that daunting feeling that you are never going to get back down. Over the years, tree climbing has evolved. It’s more popular and can be done with harnesses and ropes however that competitiveness of getting to the highest point possible hasn’t changed. Tree climbing can be done as a recreational activity or for work as an arborist. Tree climbing is a risky venture for any inexperienced tree climber. If you have no prior climbing experience, make sure you take a climbing course before venturing out on your own. During the course, they will tell you all about the equipment you will need to ensure you are safe. Along with advice and guidance on what knots to tie and what trees are the best to climb up. When buying tree climbing gear, especially as a beginner, you will be thinking to yourself, “What do I need?”, “How do I know it will hold up?” and “What can I rely on?” These are great questions but seen as climbing equipment is expensive you do not want to be buying gear you do not need. As a beginner, you will not need a lot of gear if you’re only climbing once in awhile for fun or as an activity. The list below covers the equipment you will need for a safe climb. This rope needs to hold knots well and needs to be strong enough to hold your weight. Unlike rock climbing, tree climbing requires non stretching, static rope. Your helmet needs to be lightweight and ensure that your head is protected. A harness is made to feel comfortable but is also there to protect you and help keep you aloft if you fall from the tree. Gloves protect your hands from rope burns, wood splinters from the trees and are made to give you extra grip on the trees and ropes. These are an essential piece of kit as they attach you to the rope and the tree. Heavy duty carabiners with locks attach the climbing rope to your harness, while lighter carabiners are convenient for any hauling gear you have with you. This is used to throw over a reachable branch. This will then give you your point to climb to. To this day, tree climbing is one of the safest outdoor activities to do if you follow all the safety regulations and are trained in how to use the climbing equipment. 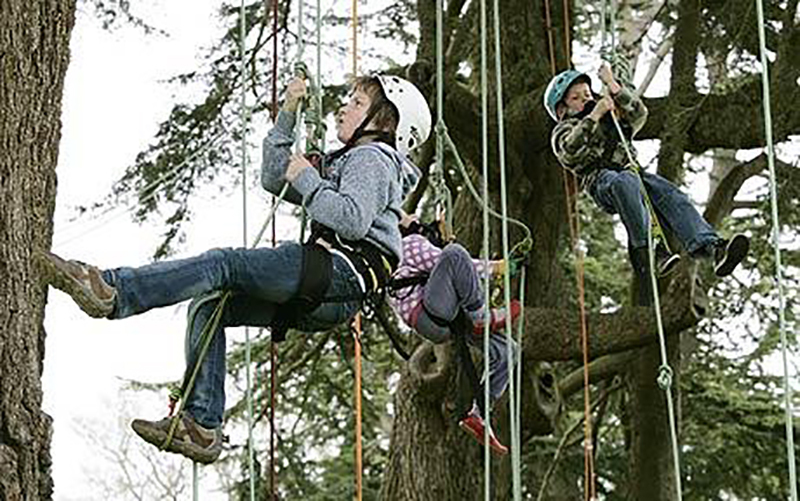 Tree climbing is a fun and relaxing activity and can be done by anybody at any age. We do advise that before you start tree climbing to take a beginners course and ‘learn the ropes’ before going out on your own. However, if you have mastered using the ropes, carabiners and harnesses, here are a few tips for the perfect tree climb. Firstly, select the tree you want to climb. Make sure the tree is healthy and within your ability to climb. Take a look at the branches you are planning to loop your rope over, they need to be able to take your weight, therefore the branches should be at least 6 inches in diameter. You must also check that there are no potential hazards nearby such as power cables or animal nests. By using a throw bag, toss the line over a safe branch so that the rope is draped over it. Both rope ends are then used in a series of climbing knots which will then allow the climber to ascend and descend from the tree. The main knot used in this technique is called the Blake’s hitch. Find out more about knots here. This knot helps you stop moving and holds the rope safely in place therefore allowing you to rest in mid-air and enjoy the view. The single rope technique is a bit more challenging and requires more climbing equipment such as pulleys. In this technique the rope is anchored to a branch or the base of the tree and you have to then use devices such as pulleys to “inchworm” up the rope. This technique requires you to use your legs, making it a bit more physically demanding. Overall tree climbing equipment plays an essential role, it helps keep you safe whilst you’re on your tree climbing adventures. When you own climbing gear you must remember to check it all regularly and make sure it is stored in a safe place, away from anything that could potentially damage it. Always remember to check all your equipment works before you start a climb, to ensure you don’t come across any problems halfway up the tree. 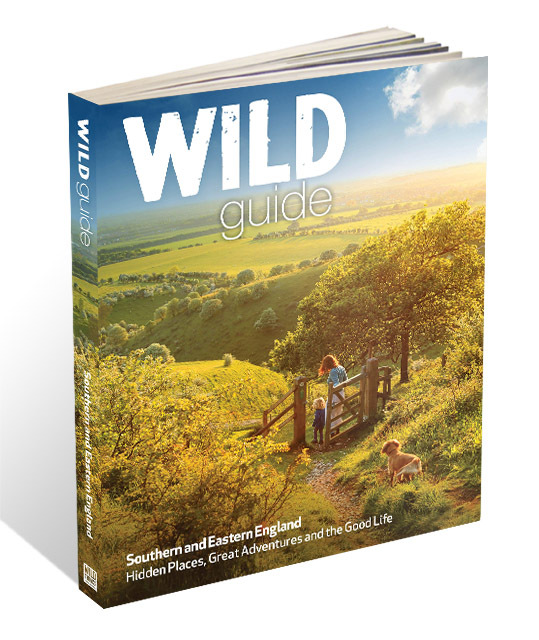 For loads of ideas of trees to climb, you might like to try one of the Wild Guide books.